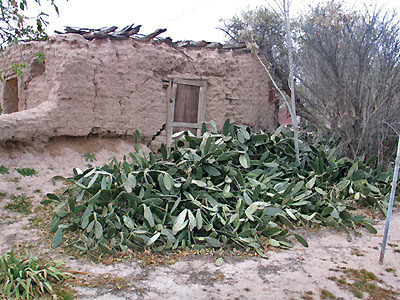 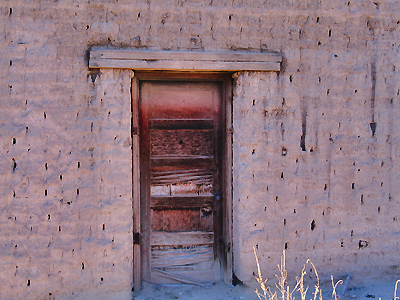 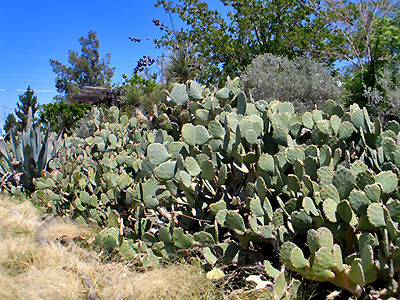 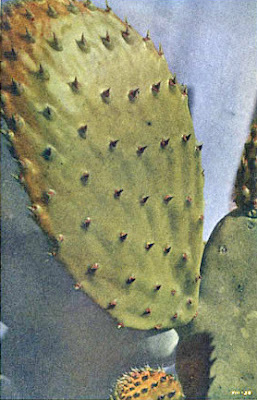 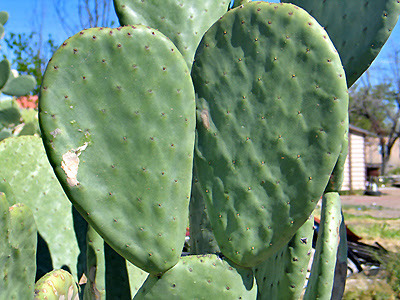 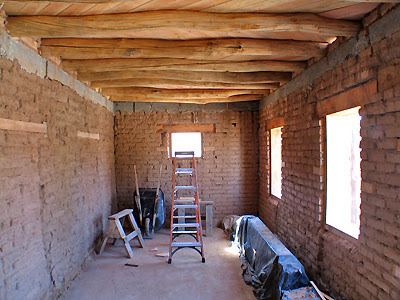 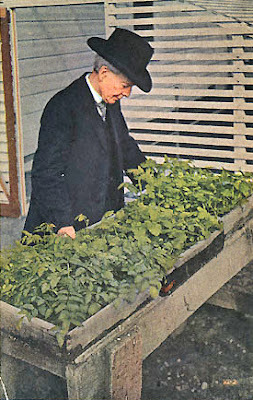 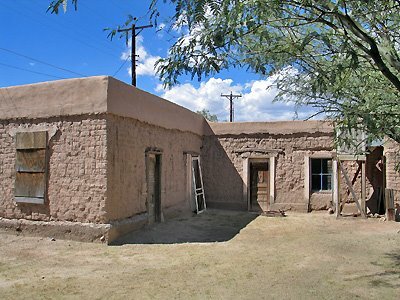 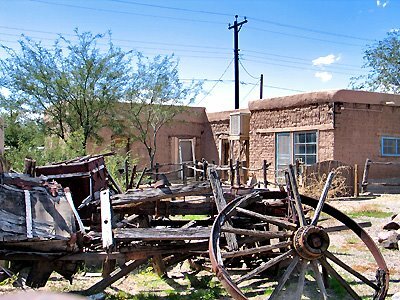 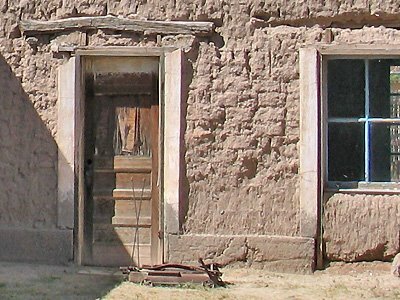 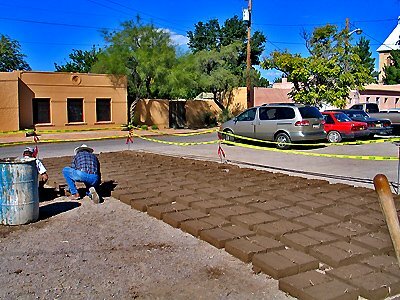 Part of preserving Mesilla history is restoring and maintaining its old adobe homes. 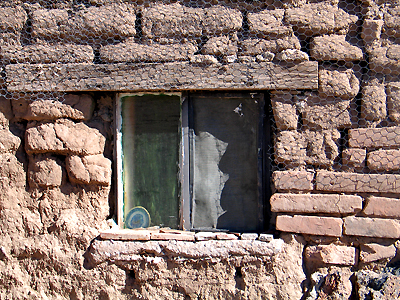 This isn’t a cheap proposition and most home buyers won’t do it. 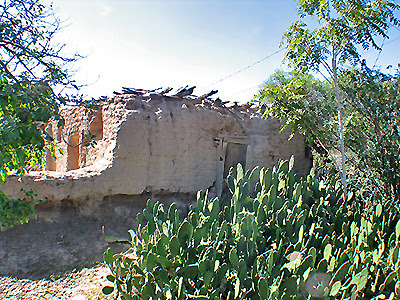 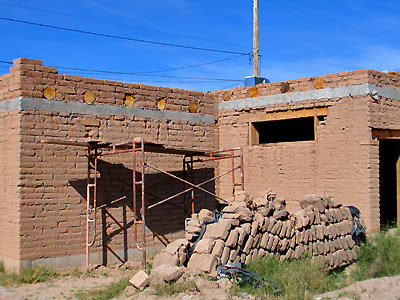 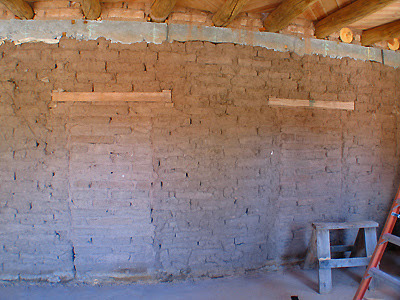 After the adobe walls are made structurally sound, they will be plastered inside and out, making an energy efficient home that will be naturally cool in the summer and warm in the winter. 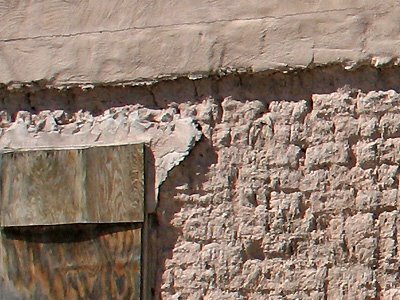 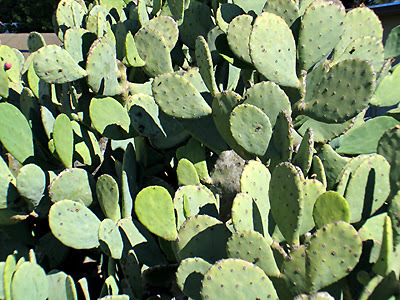 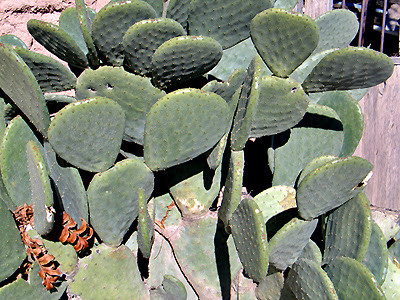 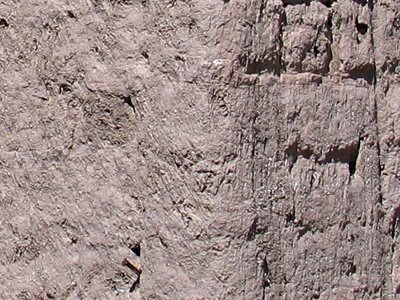 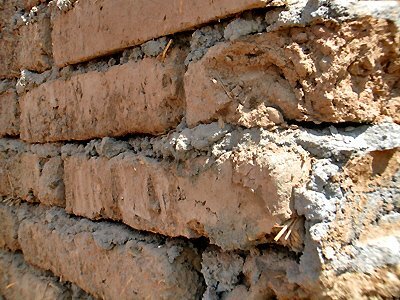 Adobe is still made in Mesilla just as it was 150 years ago, with the exception that a machine is used to help mix and pour the mud. 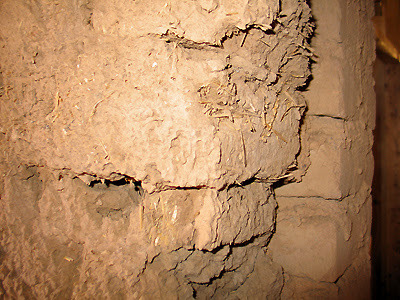 First the dirt for the adobe is shoveled into a pile and mixed with straw. 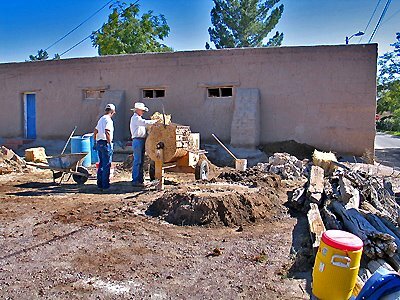 Next water is added to the center of the pile and roughly mixed. 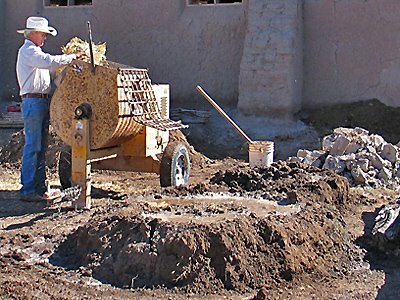 The mud is then shoveled into the mixing machine and mixed to the right texture. 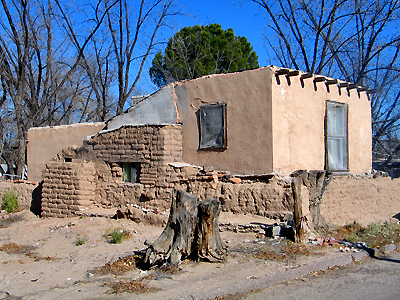 You can see the adobe building being repaired here. 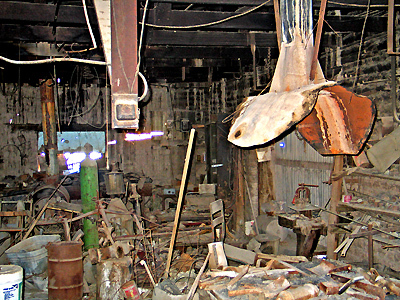 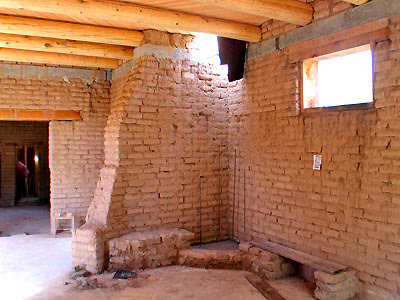 The mud is poured into wooden forms that make bricks 10 x 14 inches in size. 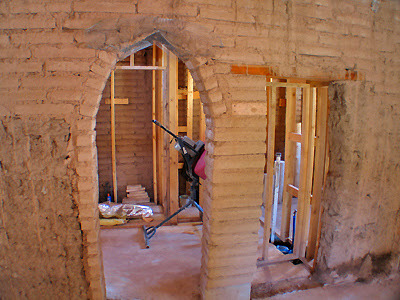 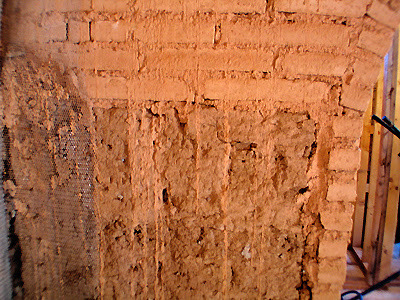 The forms are removed and the bricks are not moved until they are dry. 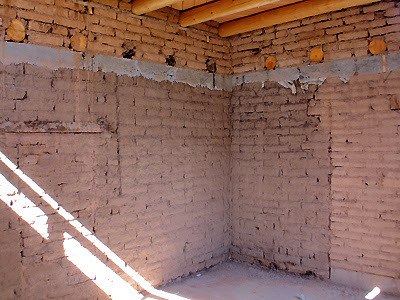 The drying process may take days. 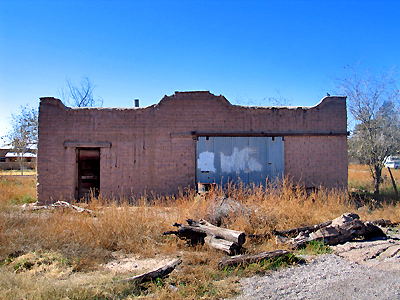 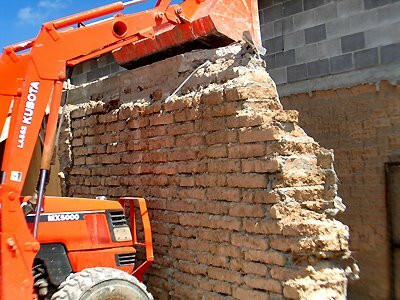 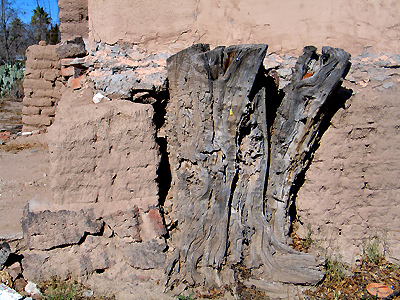 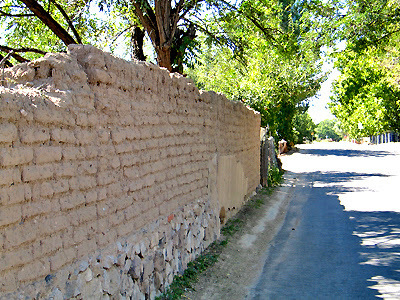 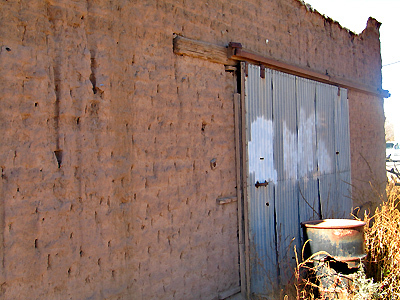 Mesilla ordinances forbid the demolition of an adobe structure.